Nintendo focuses too much on its own franchises, says EA's John Riccitiello. 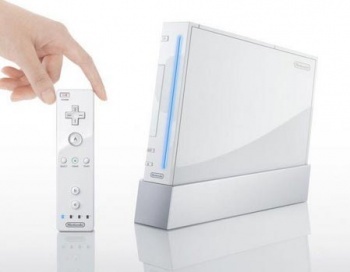 While it's still selling well, the Wii isn't reaching the dizzying heights it did just a few years ago. But the situation is reversible, and EA CEO Riccitiello thinks that by trimming the price of its console and embracing third party titles, Nintendo could turn perk sales immeasurably. Riccitiello said that while Wii sales had "tapered" over the last two years, with a ninety-nine dollar price tag the console would "explode." He also thought that Nintendo could improve sales by making more effort to support third party titles, rather than focusing almost all of its attention on its own franchises. He didn't think that was something that Nintendo was all that likely to do, however. He said that if you were to list the definitive games of a particular Nintendo platform, chances are that most of them would be first party titles like Zelda or Mario. He said that as far back as the SNES, Nintendo's support for third-party developers had been significantly less than other platform holders. "Nintendo's unique in the world," he said. "First-party hardware, first-party content is what makes them great, but it's actually pretty tough ... they've never really been a heavy third-party supporting system. It's not lack of trying; they start the morning thinking what's best for their own intellectual property." It's hard to argue with the idea of a $99 dollar Wii selling exceptionally well, but whether Nintendo would consider dropping the price that far is much less certain. The Wii costs around $200 at most retailers and it seems more likely that Nintendo would split the difference and go with $150, if/when it does decide to lower the price.